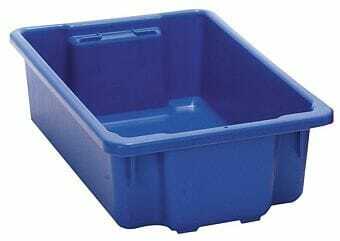 Food grade nestable solid plastic crate. Natural colour, blue, red, white, yellow or black. Temperature ranges from -20℃ to +110℃. Ideal for a wide selection of industries, meat trades, smallgoods manufacturers, poultry, fish, materials handling, engineering, automotive, warehousing and distribution.